Drivers heading to the pumps will be hit with the most expensive petrol prices in more than two years. Motoring campaigners said the rise meant the cost of an average tank of fuel is around £10 more today than it was a year ago. Average price of a litre of petrol, the highest since December 2014. Average price of a litre of diesel, the highest since July 2015. Petrol and diesel prices rose by more than three pence per litre in the past four weeks alone after a sharp rise in the price of oil. The 24% jump from $45 (£37) in mid-November to $56 (£46) by the end of December was sparked by a deal between Opec and other major oil producers to curb output. The rise in fuel costs come two days after outrage at a 2.3% average rise in rail fares in Britain that saw train firms accused of "pricing people off the railways". Motoring campaigners warned the joint travel expenses could ultimately have a negative impact on employment levels. For the 17 million people or so who commute by car the return to work will have come with a nasty surprise. 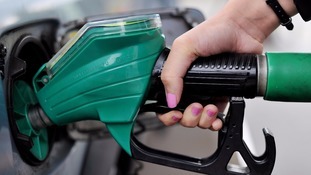 With pump prices up again, the cost of an average tank of fuel is around £10 more today than it was a year ago. Transport is the biggest area of household expenditure and many drivers will be asking the same question as those rail travellers just hit by big fare increases: at what point does the journey to work start looking like it just isn't worth it? The latest petrol and diesel figures were released by the Department for Business, Energy and Industrial Strategy.